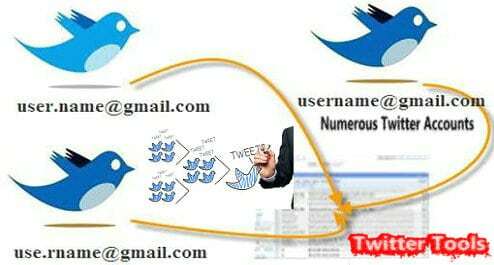 Now Twitter still is a big social media platform for Internet marketing.It’s easy to use,and need more introduction.So,Lots of IMers use the twitter for traffic.As we all know,it’s easy to Manage one Twitter Account,But how about Manage many Twitter Accounts like 500 twitter Accounts at same time? That’s not so difficult,let me tell you how. In fact you have to use some of software or app for managing your Twitter accounts,such as Follow Liker, Mass Planner,Tweet Attacks Pro and so on.The twitter tools can help you manage twitter accounts at same time 24/7 to follow/unfollow,tweet, retweet, reply, favorite,direct messages,that’s boost your marketing efficiency.In short,The tools can make the work easier. But the issue is coming…If you’re only use Followliker or even if twitter unlimited edition and any other twitter tools,Still you’re can’t do the works,Because of all Account are run with the IP address,Your twitter accounts should be suspended by twitter.If you do not want to lose any of accounts, you have to use the proxies that give you more IP address to simulate multiple human operation perfectly,The proxies with your accounts can be reduce your account risk. Twitter now become more and mroe strict,the twitter accounts suspends than past.You need proxies to avoid remain your IP address,using proxies will reduce probability of accounts being locked or banned.Another question is how many accounts can i use on a proxy? There are no doubt that the best solution is one proxy for each twitte account.But that’s really not cheap for beginning.It’s only for big accounts that have more than 10,000 followers.So, for normal accounts,I’d suggest to you that use one proxy for 3 to 4 accounts and no more than 5 accounts. 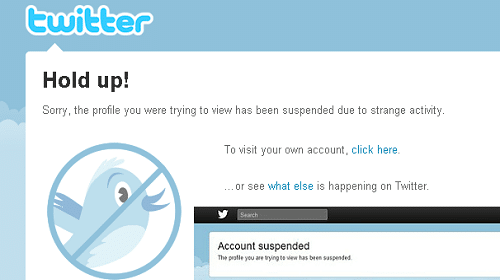 I manage about 100 twitter accounts (for clients) and none of them have been suspended in the last year. A few get locked from time to time (which now you have to enter a phone number to get it unlocked, which is annoying) but no suspensions in the last year, so I’m very happy about that. I use one proxy per 4 accounts (no matter how many followers they have). I think the reason my accounts are no longer being suspended is because I now follow and unfollow on different days. So on Mondays, Wednesdays, and Fridays, I do a bunch of following. And on tues, thurs, saturdays, I do unfollowing. Sundays I do nothing (Twitter might like this too). I also have a strategy for how many to follow on each account, based on how many followers an account has. Keep in mind I have to be a bit more careful since I am managing client accounts, not a bunch of bots. I can’t have a client’s twitter account permanently suspended, and I need to have the balance between quality and quantity. My clients don’t just want a high number of followers, they want targeted people, so they are happy with a steady moderate increase of good quality followers, instead of a super high number of random followers (or bot followers). Start off gradually the first month, no matter how many followers an account has. So, I follow the respective amounts on mon, wed, fri, and I unfollow the same amount, those who do not follow back after 4 days, on tues, thurs, sat. And for the clients who like to keep their following number low, I also unfollow the most inactive (even mutual followers) accounts about once a week, starting with 90 days since last tweet, and when that runs out, 60 days, and when that runs out, 30 days, and so on down and down. I try not to unfollow those who have tweeted in the last 2 weeks, but for those who want to keep a really low following number, I will unfollow up to those who have not tweeted in 9 days (the reason for this is because I account for people who might go on a vacation and not use Twitter during that time). Settings for how often to follow when running: I follow every 4-20 seconds, and I unfollow every 2-15 seconds. It’s obviously possible to follow more per day than I do and maybe not get a suspension, but you have to figure out what’s right for you and weigh the pros and cons of what happens when you follow more and more, with obviously higher and higher chances of suspension. If all your accounts are getting suspended at once though it’s almost 100% because you are not using proxies, and you’re not hiding your behavior well enough. I use MyPrivateProxy. They have been really good and stable for the last year or so, and whenever there is a problem, just tell them which proxies aren’t working and they’ll replace them within 24 hours. I experimented with about 3 other proxy supplier companies before being satisfied with MyPrivateProxy. This is the way I’ve been doing it without getting any suspensions in the last year. I feel very happy and proud of my set up now. This is also how I manage my own twitter accounts. Last, What’type of proxies and which proxy provider should be use? From,the Before discussing concerned problems,the free proxies or named as public proxies that’s should not be used, for the IP address is FUCKed by lots of guys from internet, except for the slow speed. So,The Best proxy solution is use the private proxies. and you get the right place, we’re used almost all the proxy service online and test on twitter also.Here i add some of proxy service that works well on twitter,and i have same point with “kittyfranklin”,that MPP is the preferred proxy provider that ‘s have good result on twitter marketing.